Once you connect to the network, you open the Open Sprinkler App (or Web UI if using a laptop) to administer Open Sprinkler. The existing WiFi network isn’t useable. In some cases, an existing WiFi network isn’t practical to access. For example, you might have a rental property, whose grounds are watered by an OSPi system, and you don’t want the unreliability (or liability) of connecting the OSPi to the tenant’s WiFi network. You require remote administration. Ad hoc networks are by definition standalone. They aren’t connected to the Internet, and hence you can’t administer devices on them via the Internet. Similarly, you can’t have log files forwarded to you. The OSPi network would be out of range of an administering device. I’ve found that I can connect to the OSPi network (even one using a Pi Zero W) with my iPhone and laptop up to 50′ away, with several intervening house walls. However, you don’t believe you’re administering device will always be within range of the OSPi network when needed, then this setup isn’t likely for you. All steps in the present OSPi network setup procedure below are directly distilled from this Stack Exchange Web page. This Web site has the only set of Pi ad hoc network configuration instructions I’ve found that works for the Stretch version of Raspian. This source site also has more explanations of commands that is presented in the present document, and additionally includes a useful troubleshooting section. Note that there’s nothing in the present network setup instructions that’s Open Sprinkler specific. You can set up an ad hoc network for any number of purposes. Have the following requirements in place before proceeding. An Open Sprinkler Pi (OSPi) board from Open Sprinkler. A standard 24VAC power supply for sprinkler valves. A Raspberry Pi (RPi). I’ve successfully set up a Raspberry Pi Zero W, but Pi versions 2 (with WiFi dongle) or 3 should work fine. A microSD card, 8GB or higher. A wired keyboard and monitor. Random number tools (Installed in these instructions). git-core (Installed in these instructions). Access (at least temporary) to the Internet via WiFi. The microSD card has the Stretch version of Raspian installed on it, and the microSD card is installed in the RPi. The keyboard and monitor are connected directly to the RPi. If the RPi is attached to the Open Sprinkler board, connect the powered 24VAC adapter to the OS board. If the RPi is freestanding (for all but the final boot), connect powered 5V USB adapter to the RPi. Have available the name (wpa-ssid) and password (wpa-psk) of the Internet-connected LAN. 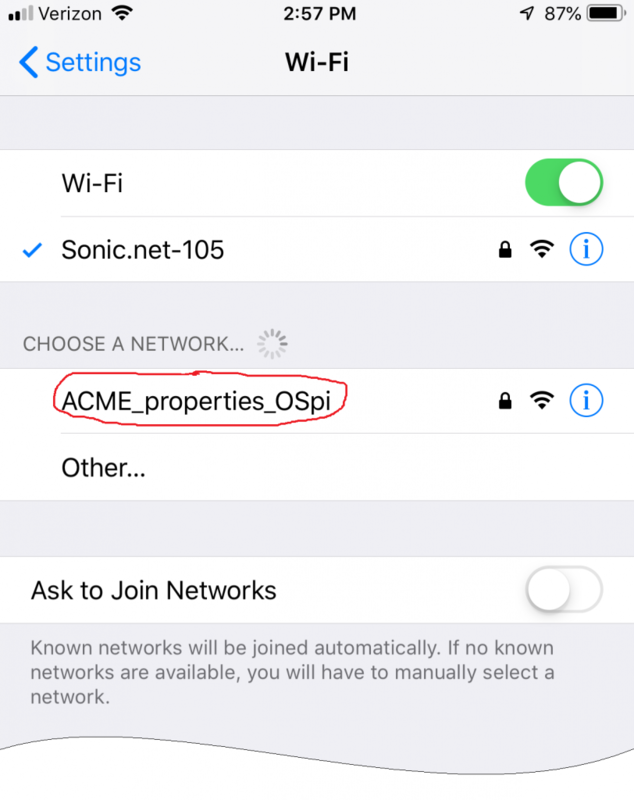 Have in mind a different name (wpa-ssid) and password (wpa-psk) for your OSPi network that you’ll configure. Note that the password should be at least 8 characters long. Nave in mind an IP address for the OSPi network access point. Normally it is 192.168.x.1, where “x” is a number between 1 and 254. If you haven’t localized the RPi yet do so now. For example, change the English keyboard layout to one more suited. 2] Replace all text in the file with the following text, substituting ssid and password for your WiFi’s credentials. (Keep the quotes!). If the RPi connected to the internet, the wlan0 section will include the line “inet w.x.y.z“, where w.x.y.z is the IP address of the RPi (as assigned to the RPi by you router). rng-tools helps speed up the generation of random numbers for the “supplicant”. git-core enables you to download programs, such as the Open Sprinkler firmware, from the git hub. If you havn’t already done so, install the Open Sprinkler firmware. The steps below are taken from the OSPi documentation. Note that the command starting with “git clone…” might appear word wrapped at the end. But be sure to type the entire text on one line. # file attribute..." error when executing. # You can ignore the error. 2] Enter the following text, but replace the text RPiNet and password with the OSPi network name and password you decided on in section Required:information above. Don’t put spaces before or after the “=” signs. Select a password that’s at least 8 characters long. country=US          # Replace US with your contry acronym. ssid="RPiNet"   # Replace RPiNet with the desired network name. Keep the quotes! psk="password"  # Replace password with the desired network password. Keep the quotes! frequency=2437  # See (*) below. *For more information on the frequency value, see https://en.wikipedia.org/wiki/List_of_WLAN_channels. 3] Save and close the file. 1] Open file /etc/systemd/network/08-wlan0.network with the nano editor. 2] Enter the following text, but replace the sample network access point IP address (192.168.4.1) with IP address you decided on in section Required:information above. If you installed, the OSPi network with the RPi freestanding, shut it down, install it on the (unplugged) Open Sprinkler board, then connect the 24VAC power source to the OSPi. If using a browser, just type in ipaddress:8080 into the URL field. If using the OSPi App, specify the ipaddress:8080 in the Manage Sites screen.